This summer, we discovered an amazing story about one of our long-time staffers. After the last week of camp, Mac Maser finished his 75th week at Youthfront during our 75th anniversary year. Pretty cool, huh? 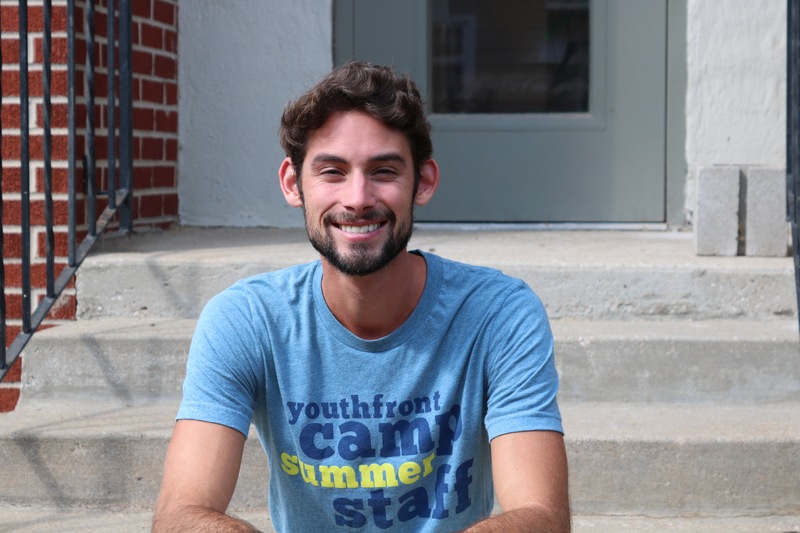 As the Teen Staff Director at Camp West, Mac has a passion for serving youth. So why is this 24-year-old drawn to a 75-year-old organization? “This year as we celebrate 75 years of ministry as an organization, I personally got to celebrate my 75th week of being on staff at camp during Session 10. Through my combined time volunteer cabin leading, being on Summer Staff, and being the full-time Teen Staff Director at Youthfront Camp West, this celebration is an impactful reminder of how pivotal Youthfront has been in the formation of my faith and my relationships with the people and world around me. I’ve reflected on my time at Youthfront, going back to 2008 when I started as a camper. The biggest question I’ve asked myself is “why?” Why have I kept coming back for so many years and why did I choose this as a career? Why am I an advocate for the ministry that Youthfront does? Youthfront is where I first gave my life to Christ and where I first learned what it looks like to live in healthy fellowship with other Christians. It is where I learned ways in which I struggle living out being a Christian in my everyday life. It is where I was baptized and it is where I met many of my best friends. I can confidently say I have experienced the potential Youthfront has for impacting the lives of both students and adults. This is why it’s so easy for me to invest so much of myself into supporting it. As one of the directors of our Teen Staff program, I feel the greatest amount of joy because of them. I unbiasedly believe that Teen Staff is a fantastic reflection of the culture Youthfront tries to cultivate in young people. Teen Staff is a program where high school students learn together through community and purposeful reflection about what it means to love Jesus and others through service. From the outside, it seems like any other volunteer opportunity, but the students have made it into a loving family. High school students have so much influence with their actions and words. They can make a newcomer feel outcast or welcome, a shy student feel shame for not participating or encouraged to share as much as they’re comfortable with. Teen Staff students are so good at choosing love over hate and inclusion over exclusion, which is a beautiful depiction of a community centered on Christ.